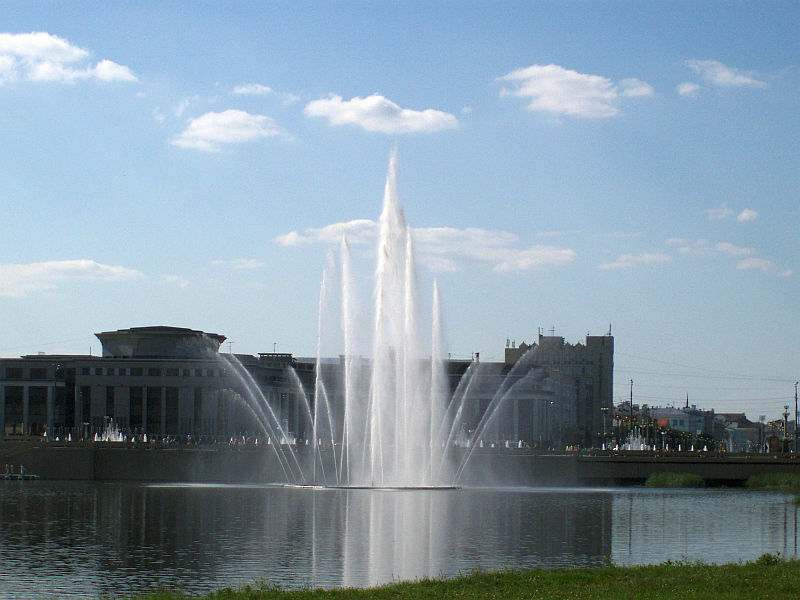 Lake Kaban — symbol of Kazan, which is associated with numerous legends. Some legends tell us about the Tatar city of Kityazhe, sinking to the bottom of the lake after the capture of Russian cities. According to others — water witch is living in the lake, creeping on the little boy or girl every year. Proof of another legend from time to time residents of the city, caught from the lake some elements of numerous Khan treasures. Lake Kaban as a whole is a system of lakes connected with each other and having a total length of about 8 km, average width of 400 m and a depth of 10 m (max 22 m). Lake Kaban — not just a big lake, but a water system, consisting of three large lakes, connecting them to the straits and channels Bulak. Ozernaya Valley stretches more than 10 km. And work together with the adjacent lowlands area of several hundred hectares. All this space is now found inside the city. Water mirror of Middle Caban — 58 hectares, average — twice as many — 112 hectares, Upper — 25 hectares. In sum, it amounts to more than 200 hectares. Natural question arises: when and how the lakes are formed? Qayyum Nasyri adduces in their writings ancient legend. Once, many years ago, the first people brought here by an old man by the name of Kasyym-Sheikh. All around were merely overgrown with reeds and sedge marshes, shrub and impassable uremia. And the people murmured against: «Why have you brought us where a lot of mosquitoes and no clean water?» And then the holy man spread out his beshmet, and prayed to Allah, took the edge of the coat and dragged him along. And there, where he pulled his beshmet, emerged the lake with the purest water. In this legend reflects people attitudes to the lake as a national shrine. But, I think, already ancient people understood that their origin of the lake obliged not to beshmet of Kasyym — Sheikh. 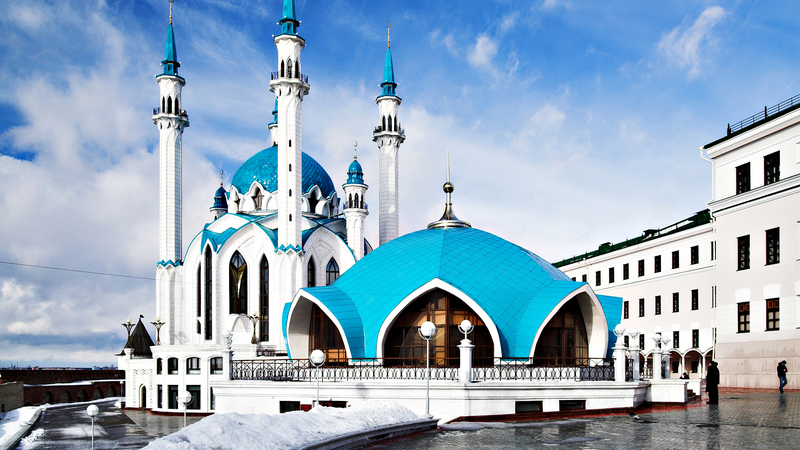 Even in his earliest writings about Kazan it was pointed out that the origin of the lake system is undoubtedly connected with the Volga. 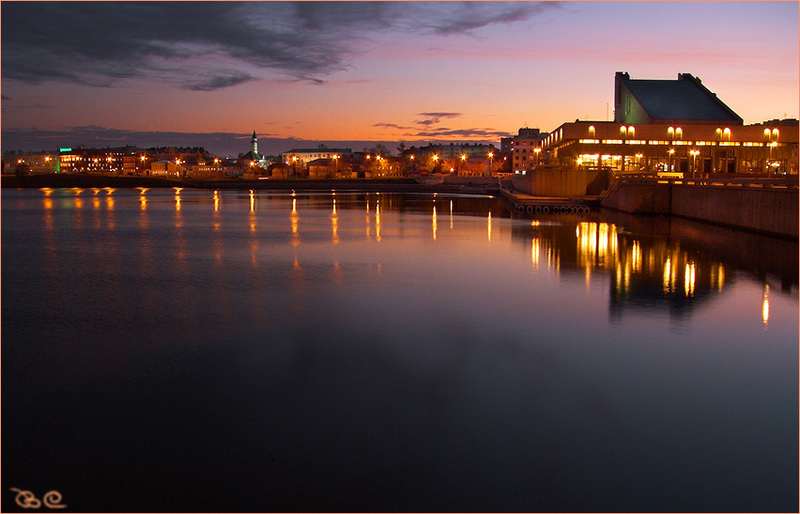 The lakes are located on the second terrace above the floodplain. The vast majority of scientists believe that the lake — the remnants of an ancient riverbed, the bayou of the Volga. This is evidenced by their elongated, slightly curved shape, and the bottom section, and other symptoms. As scientists say, The Volga flowed here 30 — 40 thousand years ago in a period of rapid melting of glaciers, then it was once more at 15-20 and brimming. 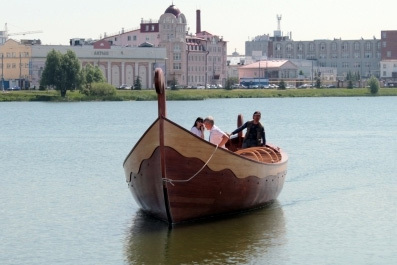 Then the Volga «breakthrough» a new course and went a few miles west. From this it follows that the age of the lake system are estimated about 25-30 thousand years. … Many centuries ago, when the word «Tatar» was not there, all the Tartars called Bulgars and lived in a nice neighborhood and the great city of Bulgar. But here came with a myriad army of bloodthirsty conqueror Timur Aksak (Iron chromium). He took the town by storm, residents interrupted, not sparing neither women nor the elderly or infants, and property looted. Not mant people could save themselves. Among them was the son of the last Bulgar Khan Abdullah named Kaban. Since he was lord, that is, Prince called him Kabanbek. When the conquerors first levied, and then stormed the city, Abdullah Khan, with all the children of the household, and locked himself in the big stone mosque Bulgar. After failed attempts to crack the powerful iron doors Aksak Timur ordered to impose mosque from all sides with logs and burn. When the logs flared and flames rose up to the sky on the roof of the mosque, amid the smoke and flames suddenly appeared youngest daughter of Abdullah Khan, the girl of unprecedented beauty, dressed in white garments.